This route traverses some of the main streets of downtown St. John’s, including some of the oldest street on the continent!. It’s a great way to explore all that the center of the city has to offer, while perhaps scoping out a bar or a restaurant to visit later on! 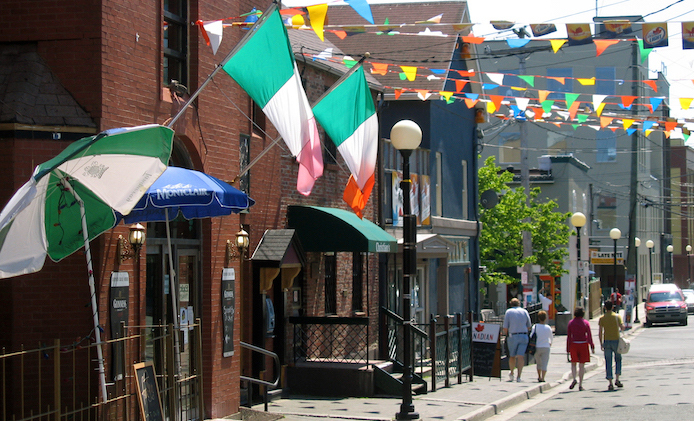 Start out at the south end of George Street, the main center of nightlife in St. John’s. Head north until George Street merges into Beck’s Cove, which curls towards the water. Here, you’ll turn left onto Harbour Drive, where you can enjoy the sight of massive boats along the piers. Continue north on Water Street, then turn left onto Temperance Street, just before the US Army Dockyard. One block up, turn left again onto Duckworth. After about .5 miles, use Solomon’s Lane to return to Water Street (another great stip for eateries, shops, and more). When you reach Queen Street, take a right to return to the south end of George. Lots of opportunities to add on.